One of the biggest struggles I’ve had during the process of changing to a problem-based learning classroom is the balance between building problem-solving skills and conceptual understanding with procedural fluency. In fact, this dilemma is one of the most frequent questions I hear when talking about problem-based learning. 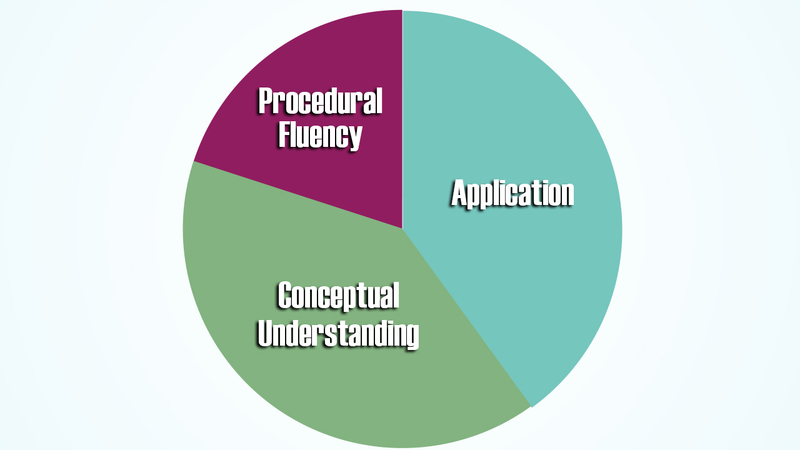 Where does procedural fluency fit-in? When is it taught? How is it taught? These are great questions that I’ve struggled to answer, and I’m hoping you can help me. “The Common Core State Standards (CCSS) call for educators to pursue with “equal intensity” the three aspects of the Rigor shift: procedural skill and fluency, conceptual understanding, and application. Regardless of your support for the CCSS, it seems reasonable that students should have strength in all three components. So with that in mind, consider the following scenarios. I can imagine that there are others striving to improve as well, so let’s work together to find some solutions. When I say teaching procedural skills, I’m talking about the part after the problem-based lesson has taken place. One goal of a PBL task is to create an intellectual need for a concept. For example, a goal for stacking cups is to create a need for y = mx + b. Who really wants to count one by one when there’s this useful formula? A need arises for the student, and the procedural skill now has context. But, in this post, I don’t want to focus on when to teach the skill. 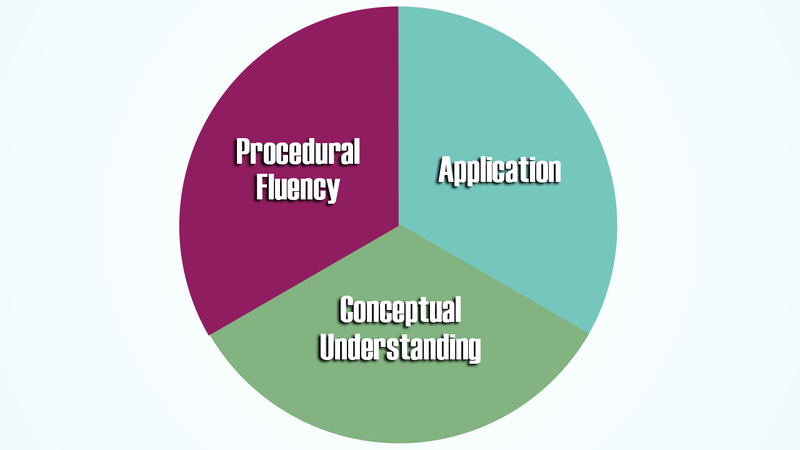 I want to find better strategies for teaching procedural fluency after the need has been created. The students are curious, you have them where you want them, now you need to teach them slope-intercept form. How do you structure this initial launch? The only tool I have (if you can call it that) is for all students to face me…hang with me guys let’s get through this…traditional, straight row teaching. I don’t know how to teach a new procedural skill with students in groups. I haven’t found a way to get enough focus in my direction without physically facing all students toward me. I’m not happy with this arrangement because it definitely compromises the curiosity I’m trying to develop in my students, and I know I can’t reach every student when they’re in rows. 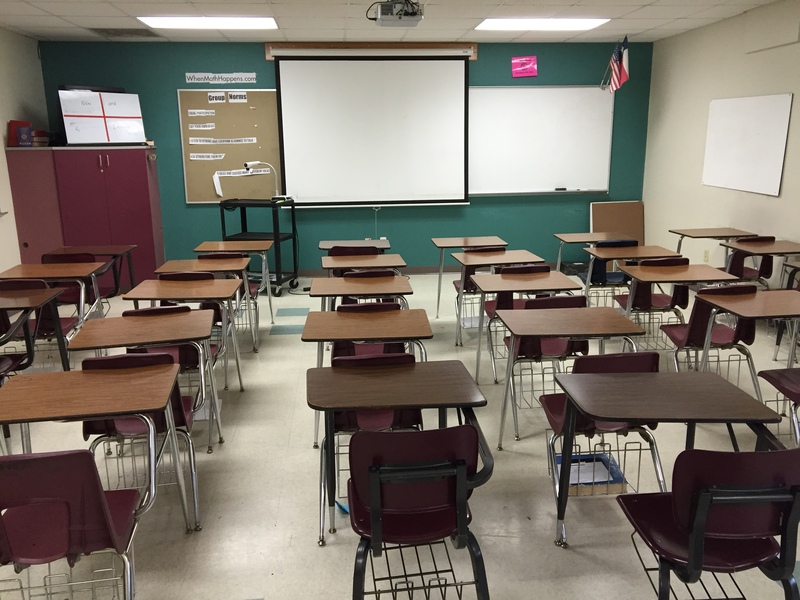 Jenn Oramous shared a strategy that she uses in her project-based learning classroom. When teaching a new skill, she has one member from each group come to her table to learn the new tool. After teaching this smaller group, each member returns back to his or her team and teaches what was learned. If students are still struggling or want more instruction, they can go to the teacher’s table after the student-led session. I like the sound of this because it encourages collaboration and student ownership of learning. What are the strategies, techniques and structures you use to introduce and teach a procedural skill? The skill has been taught, and it’s time to give the students an opportunity to build procedural fluency. I want to maintain a collaborative, inquiry-based atmosphere so I’d prefer not to have students working independently. What do I do? Jon Orr gave me great advice about how to approach skills practice. He said that he likes to have the class play a game in order to bring some excitement to an otherwise boring situation. The games are usually played with small groups, and reteaching can take place during this time. My favorite game he introduced me to is Math Race. I tried it with my students, and it was a big success. The kids work on practice problems together, and once a group has an answer, a member brings the work to the teacher for review. 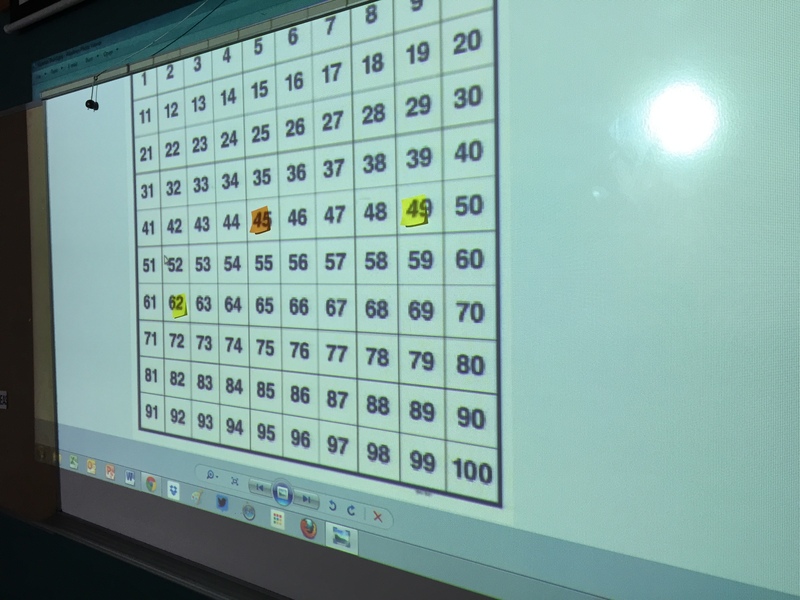 If the answer is correct, the group gets a sticky note to place on a number board. In addition, the group gets to shoot one trashketball shot. A made shot results in an extra sticky note. At the end of the game, a randomizer is used to pick the winning number, and the corresponding group wins a prize. I really like this game because the winner is not dependent upon which group has the strongest students. Even if a group only has one sticky note on the board, they can still win (a similar situation occurred the first day we played). Also, I have “random” students from each group explain, in detail, their thought process for each answer. The “random” student is usually someone who may not be contributing the way he or she should so this forces everyone to get involved. Many times, group members had to explain to the reporting student the thought process, and this created the type of dialogue that’s ideal in group work. Overall, the game created a lot more student buy-in than what is normally seen during traditional practice time. Other than games, the only intriguing technique I’ve heard of (but haven’t used) is speed dating. Just another way to mix it up a bit. I need your help because there has to be so much more out there that I’m missing. What other strategies and structures have been successful in your classroom? Geoff Krall provided two helpful links including 7 activities that can make practicing procedural skills better. David Griswold knocked it out of the park with his breakdown of student motivation within games. Robert Kaplinsky made an excellent distinction between “application” defined by CCSS and general ideas. He also mentioned the effectiveness of Open Middle problems. Check them out! Andrew Gael mentioned the benefits of number strings. Has anyone tried some of these at the high school level? Hey Dane, I wrote this post a while back about potential scaffolding models (http://emergentmath.com/2012/03/01/seven-sneaky-activities-to-get-your-students-talking-mathematically/) in a PrBL classroom. Not sure if either of these are a direct answer to your query, but hopefully they get the creative juices flowing a bit. Thanks Geoff! These will help a lot. I really like the 7 sneaky activities post. Definitely useful for creating a better practice experience. I really appreciate your help! I am only slowly adapting to PrBL after several years of more traditional math teaching (and I’m in a pretty traditional school/department), and I do love it and think it will radically change my practice for the better. Nonetheless, I still believe: rows, teacher-talk, and good old practice problems really aren’t so bad sometimes. In fact, they are often the best option for this type of work. Traditional lecture/practice is terrible for conceptual work – most students will tune teacher conceptual explanations out since they know testing it is tricky – and it’s pretty horrendous for real application, since communication is integral to good problem solving. But you’re already doing those parts of the pie chart better. WAY better. That’s the problem PrBL solves. There’s no reason for it to solve procedural fluency, though, because by many measures traditional teaching does a pretty good job with that. If you add trashketball and competition to the practice, that can be fun, of course, and perhaps motivate (some) of the students. But the second they are in groups it also means the more confident students are motivated to over-help the less confident ones (or simply ignore them, if that’s possible in the game’s structure). The less confident ones are actually motivated NOT to work as hard, so as not to hold back their group or make a mistake that costs points or chances. If a student checks out and tries to hide, yes you can catch them and make them “randomly” explain the thinking, but that is also possible in independent, rows-in-style-if-not-in-fact, practice work. I think it’s good for students to experience a wide variety of class styles within the same class, and some students really do like an independent, traditional experience and learn well that way. They may not get as excited or have as much fun, but it is definitely possible to get good learning outcomes, and that’s usually the more important thing. So mix it up. Play games, sure. Have them teach each other, great. But every so often, or even more, a worksheet and some independent work time can be good too, and you shouldn’t beat yourself up for going that route. These are all great points, David! Thank you for sharing! I really like your breakdown of student motivation within a game. After reading, I can see what you’re talking about, and it shows the importance of mixing it up like you said. I appreciate you chiming in! First off, I hope you have enough perspective to realize that your current pie chart is fantastic. For perspective, consider that some teachers have pie charts that are almost entirely made up of procedural skill and fluency with small slivers for application and conceptual understanding. So, in comparison, you are doing great. That being said, I admire your desire to improve. One tangent before I continue: It is important to distinguish between “application” as defined by the CCSS and the general idea of problem solving. When they mention application, they are primarily talking about mathematical modeling (MP4). Problem solving encompasses that but also includes other problems that are not mathematical modeling problems. That being said, one way to improve procedural skill and fluency while also including problem-solving (not application or mathematical modeling) is by using Open Middle problems. Consider what is necessary to solve this DOK3 problem: http://www.openmiddle.com/adding-decimals-to-make-them-as-close-to-one-as-possible/. Clearly the process of doing it will involve procedural skills and help them practice towards fluency. However, without conceptual understanding of what the place values represent, you will end up randomly plugging in numbers and adding up the value. Again, I would consider doing this problem to be problem solving but NOT mathematical modeling or application. So, that is one way to consider incorporating procedural skill and fluency while also not neglecting conceptual understanding. Great comments as always, Robert! Thank you for your help! Your explanation of the differences between application defined by CCSS and general ideas was very helpful. I need to integrate more Open Middle problems because they allow for both procedural fluency practice and conceptual understanding as you mentioned. Definitely a win. Number Strings are a good collaborative practice for investigating procedural fluency. Even though it is mostly used in K-8 curriculum, as long as the specific skill is clearly “visible” within the number string you can use this strategy for any procedural skill. Thanks Andrew! I’ll have to look into number strings and see if I can create some for high school. Thanks for sharing! I really appreciate it.